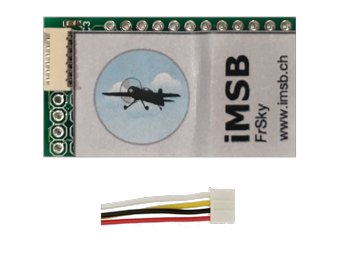 This iMSB FrSky Bluetooth Smart data transmission module is compatible with FrSky OpenTX enabled 2.4 GHz transmitter systems, such as the Taranis X9D and X9E, Horus X7, X10 and X12. 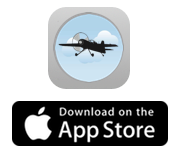 Please note that iMSB FrSky only supports the S.Port telemetry protocol. Therefore your transmitter must be equipped with an X series transmitter module (XJT) and can only be operated with receivers of the same serie. 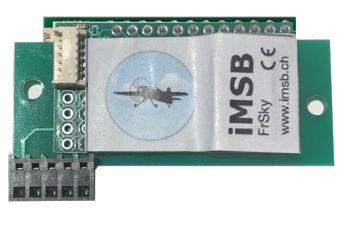 The iMSB FrSky Blutooth module must be either connected to transmitter serial port (connector provided) or to the pin header in the HF module extension bay. Connect the Bluetooth module into the serial port connector located in the Taranis X9D battery bay (see picture). 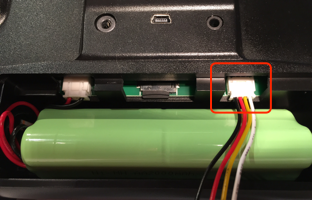 On the Taranis X9E the serial port can be found on the P12 header located inside the radio at the left of the battery. Additionnally you need to configure the serial port to mirror, i.e. output the S.Port data. In the transmitter settings of your radio go to the “Hardware” menu and in the “Serial port” item select "S-Port Mirror". 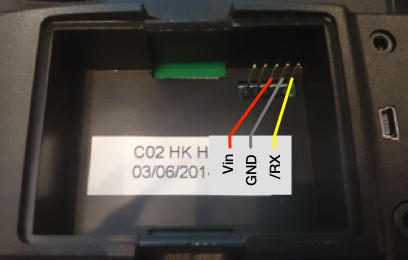 Alternatively the Blutooth device can also be connected to external module port at pins 3 (Vin), 4 (GND) and 5 (S.port, /RX), as shown on the picture below. 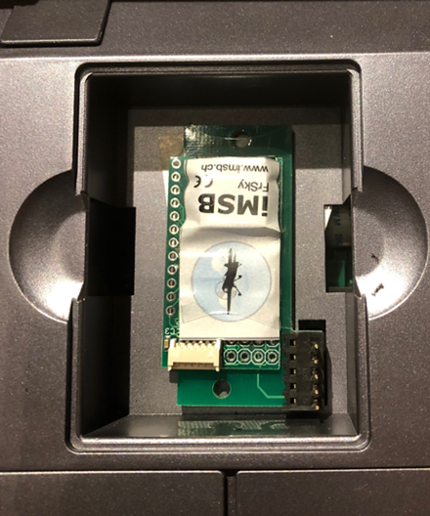 Or directly connect the iMSB Smart module expansion bay version. In order to output usable telemery data you need to activate the external HF module in your radio’s settings.